Great opportunity to build your dream career with more resources, more personal development giving you more job satisfaction! No new business chasing! Join the Jackson + Rowe Property Management team as a trainee and start a real estate career to be proud of. “People who need people are the luckiest people in the world……” so the old Barbara Streisand song goes! At Jackson + Rowe we value people, who understand that business, and especially real estate, is not only about processes and products; it is first about the people. How well we train and mentor our people determines how well our people service and support our clients. 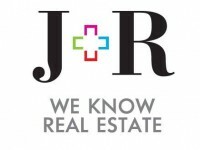 The Jackson and Rowe management team is focused on helping you grow into an extraordinary industry specialist. We have a long history of finding and training our property managers from the ground up. We choose our staff very carefully and train them well so that they flourish in the role and grow into respected real estate professionals. Like all of our Property Management staff, your career with us starts in this role as Property Management Trainee. No experience in Real Estate necessary and age is irrelevant. Our only criteria is you live locally, enjoy working in a team and are keen to learn. We are looking for somebody who can go on to become a fully qualified member of our elite Property Management team and take on a portfolio of two to three hundred properties, maintaining best practice standards in Property Management. From the very start, you will be provided with formal one-on-one training with both Stephen Jackson, one of our directors and our licensee Kristine De Santis. Our approach to training gives you the time to learn to communicate effectively in varied circumstances, with both landlords, and tenants, solve problems and deal with a variety of issues. You will also participate in all other on-site training with the team, and specialist external training, such as the Crucial Conversations from Vital Smarts, all paid for by the office. All of our training is focused on developing your skills and knowledge to confidently conduct complex conversations that result in our landlords making the right decisions, appreciating your input and your professionalism. Our focus is on being our landlords’ advocate, always supporting and working for them. We maintain integrity in all our dealings and show our tenants the respect they deserve regardless of their circumstance or position. You can see how learning to do all this to become a great Property Manager is not a quick process. Along with training, you will also benefit from the mentoring and leadership of Stephen and Kristine. Kristine has been with the business for over twenty years and heads up the Property Management team. You are welcome to ask them any question, at any time, if you are feeling unsure of your next step. No matter what situation you face Kristine and Stephen will work with you to achieve the right outcome for everyone. Stephen Jackson is the son of the founder and has been with the business for over thirty-five years. Stephen is committed to innovation in both technology and business systems. An example of tackling business systems at their core is his work with the banks to introduce a system of direct debit specifically for real estate offices in the 1980’s. Reducing and then eliminating cash handling within real estate offices has had a profound impact on profitability, safety and staff stress across the entire industry. Stephen has worked consistently to improve the daily processes within our business and the skills of his staff. This continuous improvement has resulted in the business scoring sixty on the international NPS. To give you some perspective most real estate agencies score less than half that. With specialist sales agents generating new landlord accounts, we have been growing steadily through all the market fluctuations and have clear plans to continue for many years to come. Our growth will naturally lead to career opportunities for you, either through increased seniority, changing to a sales agent, or training new staff, as you prefer. A large team also gives all of us the flexibility to take holidays and attend training without leaving our clients unattended or have work stockpiling in our absence. Managing a rent roll of around one thousand two hundred properties makes us one of the largest property management offices in Sydney. Being an independent office we manage properties through the entire West and North Shore of Sydney for landlords resident in Australia and across the world. Reflecting our professionalism and the vibrant communities we work in, we have created an office that is professional and inviting. We are right in the heart of Ryde next to the Top Ryde complex with its speciality shops, banks and some fabulous cafés. Being able to easily run your own errands and having a real break for lunch, makes your working day just that little bit nicer. To top it off, there is also plenty of street parking. That’s what we offer the right candidates at Jackson + Rowe and that’s how we will help you build your Property Management career with us! We welcome your applications, both if you have never worked Real Estate but have administrative experience, or if you are already working in the industry in a receptionist or administrative role and are serious about a long-term career in Real Estate. A current drivers license (P’s are OK) and use of a car. You live in Ryde or less than 15 km away. Follow the on-screen prompts and complete the questionnaire. Next, please click on the Upload Résumé button to give us your Résumé and Cover Letter. Thank you for applying. We will be in touch.